Miami, FL – June 20, 2017 – Over the next three to five years a flood of individual genetic tests, followed by even more sophisticated personal biomarker and epigenetic tests, will radically rewrite the approach to not only healthcare and wellness but also prevention. The first wave of DNA tests, including Helix, 23&Me and AncestryDNA, marks the beginning of this incredible trend and enables individuals to easily ascertain their likelihood of being more or less at risk of developing certain health conditions. Next up is genome-based nutrition and well-being testing which can help us better understand and identify associations between genetic variations present in our DNA and our body’s predisposition to nutrition, dieting, fitness, skin care, allergies, etc. 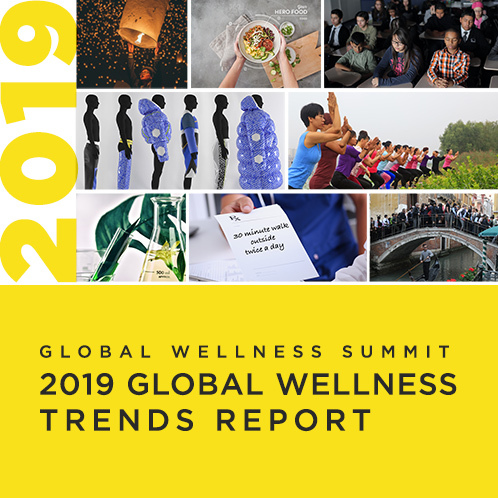 As this huge trend picks up steam, delegates of the 2017 Global Wellness Summit will be immersed in the discovery of what these tests – and their results – really mean and the effect they will have on both the medical and wellness industries. In fact, many delegates will have the opportunity to take a DNA-Based Wellness Assessment from LifeNome before the Summit kicks off and will be encouraged to participate in interactive discussions around the testing experience, as well as the greater implications that this in-depth information could ultimately have on individuals and society as a whole. “As part of ‘Living a Well Life,’ the theme of this year’s Summit, we are encouraging delegates to examine what makes us who we are, and DNA plays a significant role in this discovery. Collaborative, expert-led conversations and debates around the radical implications these new tests have on our health and wellness will be a hot topic at this year’s Summit – and having a large amount of delegates attend who have already had a DNA or other biomarker testing experience, will surely help the conversation come alive. This is just one of the interactive wellness experiences we have planned for delegates this year,” said Susie Ellis, GWS CEO and chairman. In addition to exploring the testing that is available today, experts will also explore the coming wave of tests that will be able to analyze dozens of biomarkers to identify if our biology and metabolism are moving in healthy or unhealthy directions; because, ultimately, lifestyle factors like diet, exercise, stress and environment determine which diseases we will get and, critically, which we can prevent. These include a new three-part test coming soon from WellnessFX, a collaboration between the Mayo Clinic and Thorne Research, that combines a genetic test; comprehensive blood, body and biomarker diagnostics testing; and an intestinal biome test (pinpointing what your body can actually absorb/benefit from, whether specific drugs or foods) – to give a 365-degree, actionable health profile. “We are at an extraordinary tipping point with DNA, biomarker and epigenetic testing – and the dam is about to burst. Even if ‘whole DNA and body picture’ tests have taken longer to come to market, they promise to forge stronger connections between the medical and wellness worlds because what’s proven to most positively impact our genetic expression are ultimately things like diet, exercise, stress reduction, and environmental changes. These testing breakthroughs make possible the holy grail: truly personal, precision medicine and wellness,” said Kenneth R. Pelletier, PhD, MD, a keynote at this year’s Summit and a pioneer in epigenetics and author of 13 books on subjects from integrative medicine to epigenetics, including his latest, “Change Your Genes, Change Your Life,” which will be published late this year. -Who will own this unprecedented waterfall of DNA/biomarker information? -Will the information remain direct-to-consumer (or delivered by private medical and wellness centers) to keep it out of the hands of insurers/employers/government? -Will interpretations – and subsequent “prescriptions” – be overseen by both wellness and medical professionals? -How will personalized genetic/biomarker testing ultimately impact wellness industries? “This science underscores a greater desire on the part of the global population to understand what makes them unique and what makes them the same. There is so much to learn and discuss – and I look forward to helping lead this important dialog during the Summit – sharing what we’ve learned this far in our journey with LifeNome,” said Ali Mostashari, PhD and CEO of LifeNome, and a keynote speaker at this year’s Summit.